Where can you get industrial storage containers at affordable prices in Las Vegas? From the same company that people and business across the Western United States trust for storage solutions. 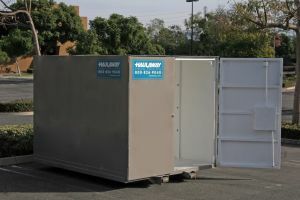 Haulaway has nearly five decades of experience offering temporary and long term large storage containers to people in Nevada, California, Arizona, Oregon, Washington, Utah, and Colorado. When you choose to partner with Haulaway for industrial storage containers, you get top quality service from a stable and dependable company. Our units have endless practical applications and have helped thousands of customers. Haulaway looks forward to being your storage solution partner. Contact us today to learn more about our sizes and options.